BL Jindal Suiwala College was established in 1995 and since then the students are marking their presence in university merit list in all streams. 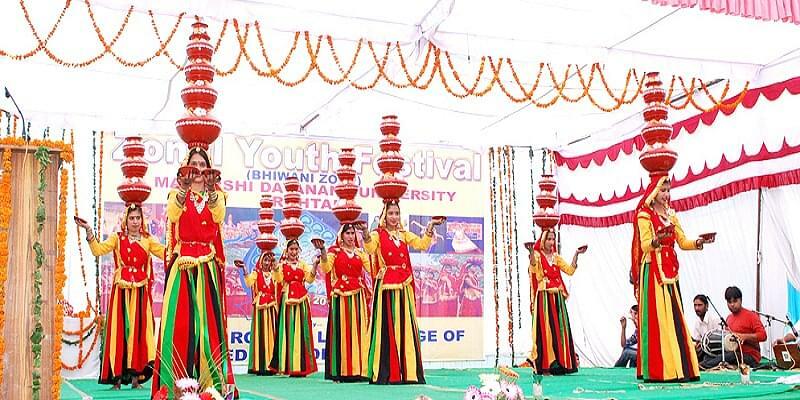 The students are not limited to the academic excellence but they are proving in the cultural fields also. The college has facilities like vast playgrounds and separate well equipped gymnasium. The college is growing day by day in their academics as well as in infrastructure. The college caters new vocational courses every year like Computer Application, ASM, Add On Course of web designing etc. are being introduced. Two P.G. courses which are the need of the society and students i.e. M.A. in History and M.Com. have been started from the session 2010-11. Additional P.G. blocks with all the required facilities is in function for these courses. “Nirala Parishad” in Hindi, “Kalidas Society” in Sanskrit “Planning Forum” in Economics are playing their role in bringing out the best of the students. Other than this, there are many other societies in the campus which helps the students to develop their skills like “Social Science Society”, “Psychology Society”, “Geography Society”, Commerce Society. “Aprajita” the Women Cell and “Asmita” the cultural cell are functional in the campus to enhance the creativity of the students and unhide their hidden talents. These cells help the students in their overall development. Women Cell helps the girl student in their counseling and enhancement of their personality are initiated by the Women Cell through different programmes. Two platoons of N.C.C. cadets are performing their duties effectively in the campus. Many students have got their B & C certificate through these wings and now serving the country at different levels in Indian Army. “Sumegha”, the college magazine is published in june of every year since 1998. The students get a platform to show their creativity in writing. Students from many Departments figure in University Merit List. The College has won First Prize in National Youth Festivals of Bhiwani Zone. High Pass percentage than the Univ. Pass percentage in every class. Consistent performance in Sports at University, State and National Levels. Counseling of Girl Students and their Personality Development Programmes by Women Cell. Regular Research and Development Programmes have been followed by the teachers. Regular Participation in Conferences, Seminars, Refresher Courses and Orientation Programmes by the teachers. Students Placements in prestigious organisations (Govt. and Private Sectors) and admissions in high ranked institutions. Publication of Research Papers by the Teachers in various National and International Journals. Teachers are involved in advanced studies and progression on regular basis.